No, I don’t mean to insinuate that your colon is lurking in a dark corner with a butcher knife just waiting for you to get home (although I’m not ruling it out either!) I’m also not referring to Dr Jensen’s original intent: the sinister power of compacted poo. 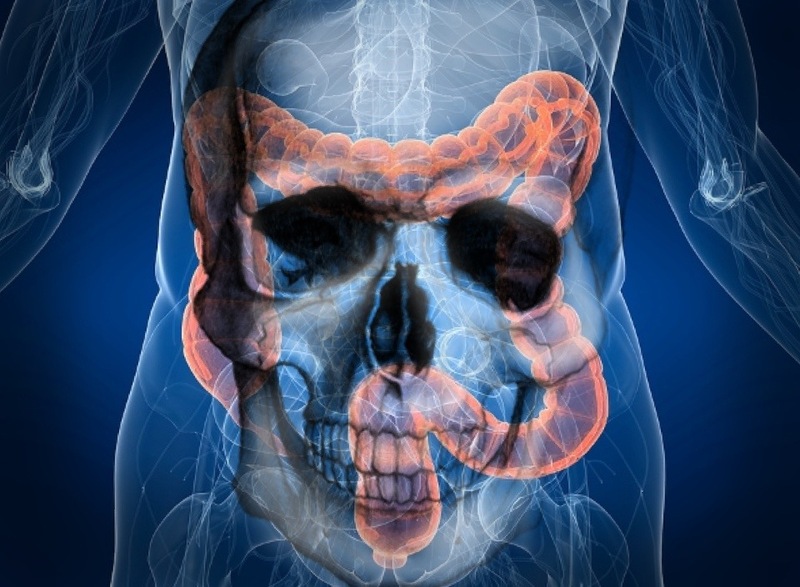 In fact, I think the aphorism “death begins in the colon” might be an overstatement, but the general idea that your overall health has a lot to do with your digestive health seems to have at least a decent amount of truth to it. This subject is close to my heart- my extended family are all a combination of celiacs and crohns sufferers. After watching those near and dear go through years of painful complications and life-threatening surgeries, it does rather seem like our digestive tracts are out to get us. Still, I’d probably revise the statement to: “Do underlying weaknesses in our bodies move towards disease due to immune reactions to food, and inadequate digestion and assimilation of nutrients needed to support health and optimal functioning?”, but that doesn’t have quite the same snazzy ring to it..
1. Regularly chowing down on a nutrient dense diet that gives your body what it needs to be healthy. 2. Avoiding poisonous overly processed, purified and concentrated crap, anti-nutrients & food allergens. 3. Working towards an optimally functioning digestive system that can assimilate these nutrients and put them into proper use in the body. 4. Managing stress by enjoying a fun, healthy social life and exercising regularly in a way that makes you happy. NOTE: I’ve also come to suspect that disease is generally NOT due to a lack of ample pharmaceuticals in your diet, not matter how much they seem to be advertised as the newest food group. I’m waiting for the USDA to revise the food pyramid to include them- it’s inevitable. In my view, many (but not all) manifestations of pathology/disease states & symptoms can come about as a direct result of digestive problems ‘upstream’ from the other bodily systems. Many issues that seem to be unconnected to the digestive system are actually intimately related to it’s malfunction. – Malabsorption lead to nutrient deficiencies causes other systems to be shortchanged in their resources- and thus their abilities to perform their jobs. Celiac and Crohn’s sufferers can have extreme osteoporosis, hair loss and macular degeneration along with a long list of mal-absorptive and immune complications including massive scarring and die off of intestinal tissues. NOT a fun day at the park, to say the least. -Improper diet containing detrimental (depending partially on your genetics) substances like glutens in grains, nightshades, lectins, etc, can lead to intestinal permeability and potential immune and auto-immune issues. Yaaay celiac, crohns, lupus, diabetes type 1, lymphatic and other cancers, etc! – Consumption of a diet high in processed foods and refined sugars can lead both to a shift in gut biotics -away from our vitamin B and K producing lil’ pals and towards candida, pathogenic bacteria, etc. It will also contribute to blood sugar disregulation, inflammation and stress- leading to a sympathetic state in which your digestion is further compromised in a downward spiral. -Excess sugars will also take up more b vitamins in their processing.- further shortchanging the other bodily systems down the line. So, what’s your take?- does “death begin in the colon”? And if so, how does (or doesn’t) your current diet optimally address/improve your digestive health?